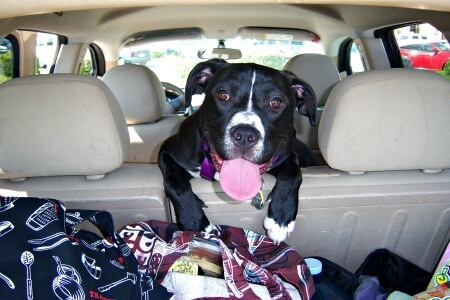 These dog travel resources will help you plan, execute and enjoy your Fido-friendly trip whether it's a road-trip weekend, interstate air travel, or an international move. Traveling with your dog is more fun, and less stressful, when you plan ahead and have all eventualities covered. 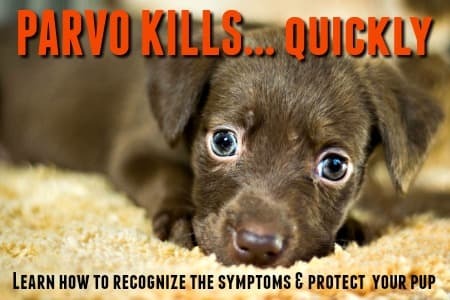 An accident, illness, lack of proper paperwork, forgotten medication, accommodation that isn't dog-friendly.... all of these are avoidable with a little forward planning and preparation. The resources below cover dog air travel guidelines and regulations, dog car travel safety, pet-friendly accommodation and activities and a whole lot more. Wishing you happy (and safe) travels! Dog air travel is fraught with rules, regulations, restrictions. Some regulations are enforced by law and apply to travel on all airlines, other individual policies vary from one airline carrier to another. On some airlines you can fly with your small dog in the cabin, and larger dogs go in the cargo hold. Other airlines don't allow cabin travel for anything other than a service animal. It's hugely important to thoroughly study the pet travel policy of the airline/s you are using and to make certain you meet all the criteria and paperwork they require. When your dog is en-route (but not actually on the plane) you'll want to know where he can go to potty, drink or exercise. Most airports have designated areas for all of these things. If you're using Amtrak for your travel, you may be able to take Fido with you, depending on the route you're taking, the size/weight of your dog and more. Service animals are allowed in the passenger carriages of all Amtrak trains at any time. Amtrak's regulations do NOT consider emotional support animals, personal support animals, search & rescue dogs or police dogs to be service animals. Canada Rail allows service animals to travel in the passenger cars at any time but pets or other animals are not allowed to do this at any time. If you're planning on taking to the high seas, taking Fido along is going to be almost impossible, unless he's a service dog. Even that's not a slam-dunk because not every cruise line allows even service animals on their ships. Most cruise lines generally don't allow pets on board at all, or if they do they must stay in designated kennel facilities away from guest quarters. Alternatively, if you just want to hop (or drive) onto a ferry, the chances are good that taking your dog along will be just fine. However there's a wide variety of rules, regulations and restrictions which vary, a lot, from one ferry line/route to another. 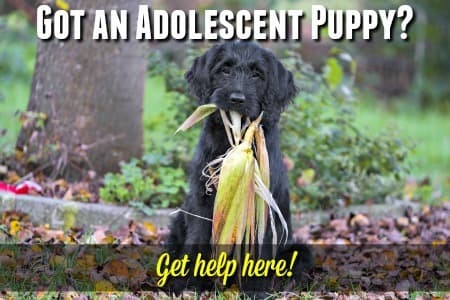 Some allow leashed pets on deck, others require them to be kenneled in a separate area. Others allow crates/kennels and leashed dogs (and even cats) on all areas of the ferry. 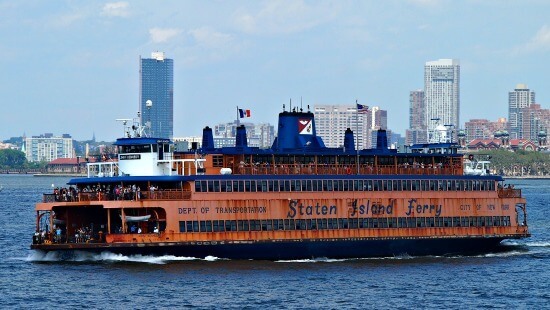 There are way too many variations to cover here, and multiple ferry companies and routes. The best way to find out exactly what the pet travel policy is for the ferry you're planning to take is to call the company direct, or visit their website. Of course no dog travel resources guide would be complete without looking at the good old dog-friendly road trip! 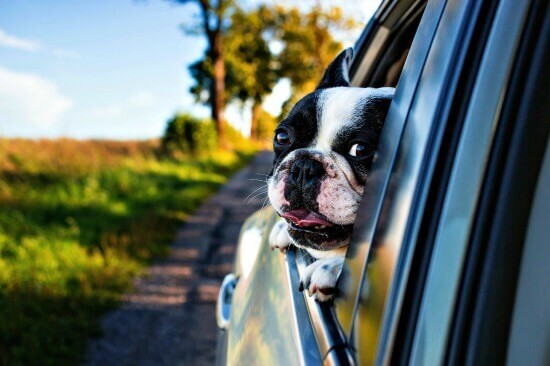 Dog car travel is much simpler than traveling by air, rail or water when Fido's along for the ride. YOU are in control of just about everything (barring traffic or weather conditions) and this makes traveling by car with your dog the most popular choice, even for long-distance road trips. 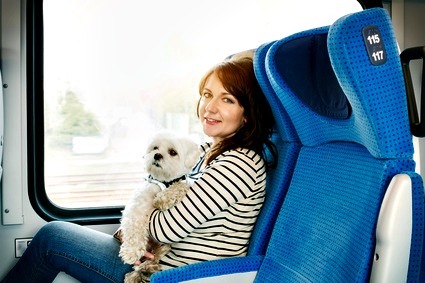 Check out this page, Traveling With Your Dog, for all the tips and advice you need to make your journey, and vacation, safe and fun for everyone. Preparation can make the difference between a relaxing trip and a stressful one. So think ahead and make sure you have all your ducks in a row before you set off. Reserving dog-friendly accommodation at your destination (and en-route) ahead of time is smart. Many hotel chains accept pets in their rooms, but the policies and charges differ and there may be weight and/or breed restrictions. And of course you can also book your accommodation through Expedia, Trivago, AirbnB, FRBO, direct with the hotel etc. etc. 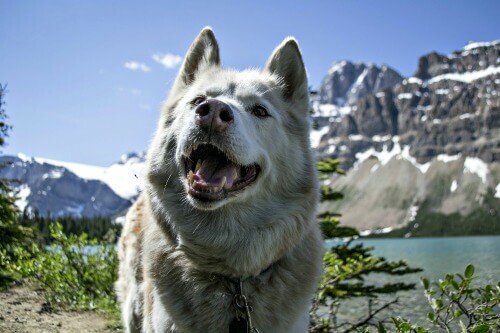 If you're going to be visiting, or live in, Canada check out Canada's ultimate online directory for pet friendly vacations. The PET FRIENDLY Canada accommodations directory features pet-friendly cottages, cabins, B&Bs, and other lodging that welcome pets, you're bound to find just what you're looking for. You can also find links to dog friendly UK B&B's, self-catering and more on the same website. Dogfriendlyscene.co.uk also has some wonderfully picturesque pet friendly accommodation listings. Houses, cabins, cottages from all areas of the UK. I'd LOVE to stay in one of these! Finally, the InterContinental Hotels & Resorts Group owns over 5,000 hotels worldwide (including Holiday Inn, Crowne Plaza, Staybridge Suites, Candlewood Resorts and more). If you're the proud owner of an RV and like to hit the open road with Fido as your co-pilot, there are many great dog friendly RV Parks across the US. Whether you prefer an RV, cabin or tent, there are tons of great campgrounds to choose from both in the US and across the globe. If camping is your thing, this Dog Camping Checklist will help make sure you have everything you need for Fido to have fun, and stay safe, in the great outdoors. When you're on vacation you want your dog to enjoy the down time with you, so it's important to know what dog friendly resources and activities are close by. Look for parks, beaches, restaurants and events which welcome dogs. If you're visiting the UK, this page can point you towards the best dog friendly beaches over there. What about restaurants and cafes? Well, there are more and more of these popping up every week. It might help to know want what People.com thinks are the most dog friendly restaurants in the US. Check out this article at People.com to find out.